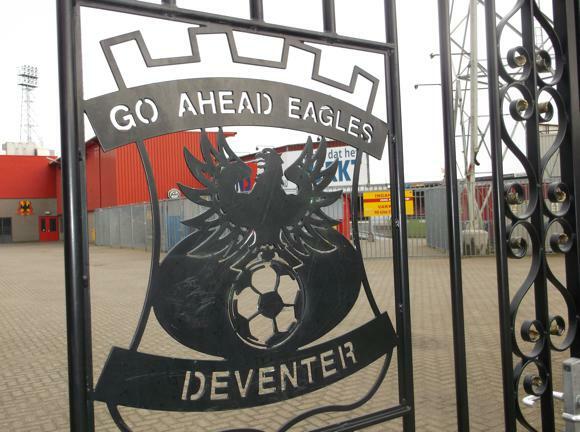 Promoted back to the Eredivisie in 2016, Go Ahead Eagles were last in the limelight in the 1960s. Under influential Czech-Dutch coach František Fadrhonc, the club produced a string of famous players and managers thanks to the unique academy he created, the first of its kind in Holland. 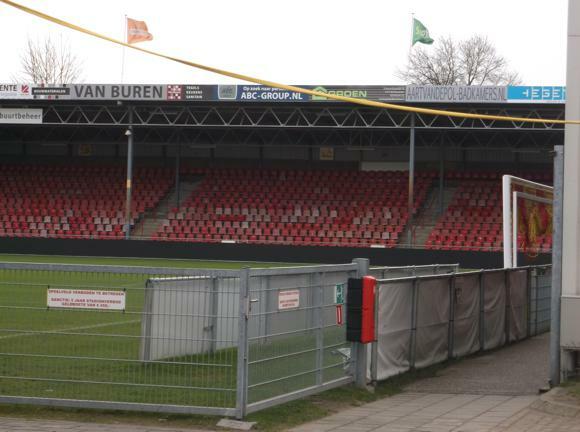 Future Premier League stars Marc Overmars and Paul Bosvelt, and later Dutch national coach Bert van Marwijk, all learned their trade while boarding at Deventer. 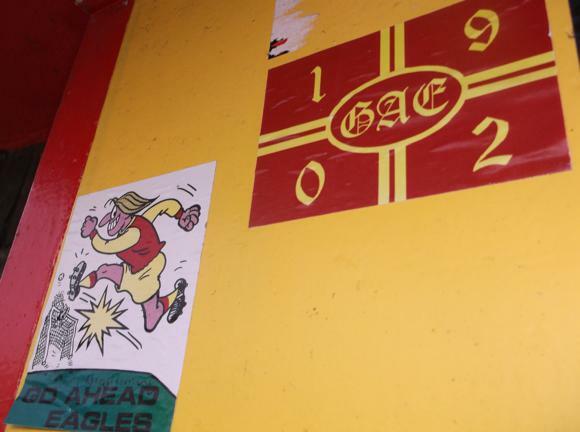 None stayed around, however, and a solitary appearance in the Dutch Cup final is the only major achievement of this venerable club in the post-war era. Pre-war is a different matter. 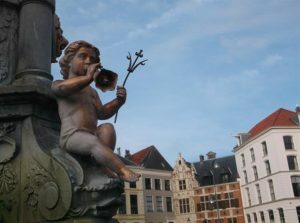 Go Ahead were founded as Be Quick in 1902 by Leo zur Kleinsmiede and Karel Hollander, whose brother Hartog (‘Han’), Holland’s first radio sports journalist, was also involved. From 1916, Go Ahead won the regional Eerste Klasse Oost eight years running, becoming national champions by beating their other table-topping counterparts in 1917 and 1922. Key to the second victory was Wim Roetert, whose extra-time goal defeated Blauw-Wit. After 1922, Jan Halle also went on to win two further titles with Go Ahead, against Blauw-Wit in 1930 and PSV in 1933, when his brother Leo was also goalkeeper. 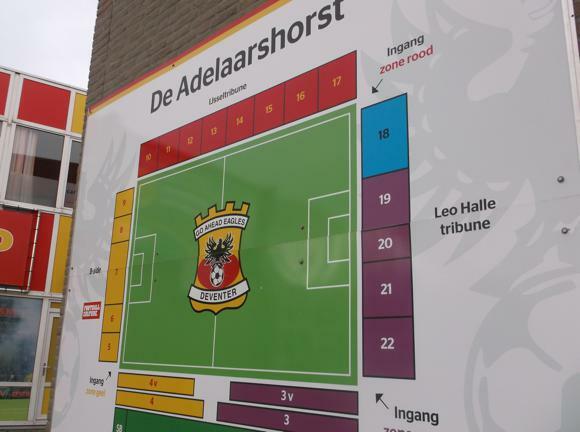 By 1920, the nomadic Go Ahead had settled at De Adelaarshorst, just outside the town centre, later named ‘Home of Football’. But 1937 saw Go Ahead win their last Eerste Klasse Oost title. Han Hollander died in the Holocaust in 1943 and Go Ahead struggled in the post-war, later professional, era. František Fadrhonc arrived in 1962, having escaped Communist Prague through Austria in 1948. On the medical team of the strong Czechoslovakia national side of the 1940s, Fadrhonc brought Central European football savvy to his first club, Willem II, whom he led to Holland’s first professional league title in 1955. 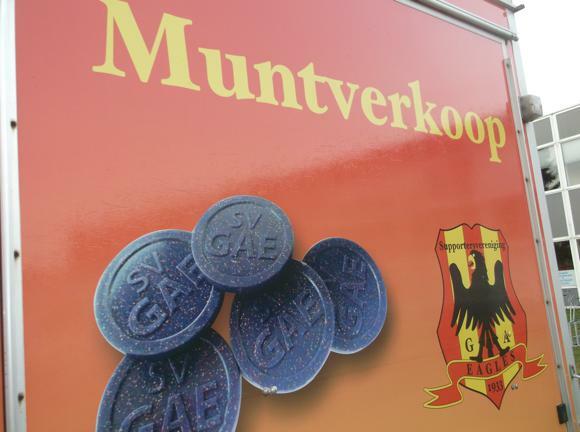 Founded by Fadrhonc, the Go Ahead academy began to produce players such as Bert van Marwijk, later coach of Feyenoord, Borussia Dortmund and the Netherlands. The position of Dutch national coach is what took Fadrhonc away from De Adelaarshorst, after lifting Go Ahead into top bracket of the Dutch league, reaching the cup final in 1965 and playing in Europe a year later. It was Fadrhonc, after eight years at Go Ahead, who oversaw the development of Holland’s best-ever national side, between 1970 and 1974, remaining part of the set-up under Rinus Michels at the World Cup finals. Meanwhile, Go Ahead had Welsh singing star Barry Hughes. 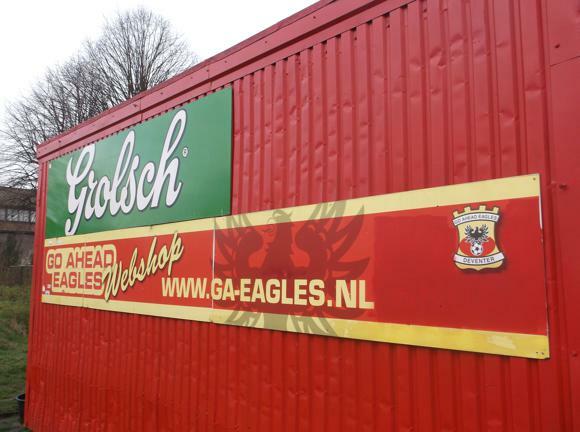 The former WBA youth player had spent most of his playing career in Holland before becoming a coach, taking over from Fadrhonc at Go Ahead, changing the name to Go Ahead Eagles in 1971. Hughes later discovered Ruud Gullit while at HFC Haarlem and released a string of hit records (‘Sing Along With Barry’) in the 1980s. 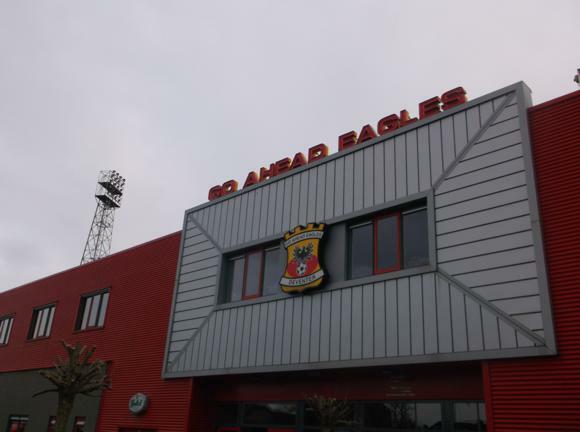 Though still producing decent young players – most notably later Ajax, Arsenal and Barcelona star Marc Overmars – Go Ahead Eagles had had their day. 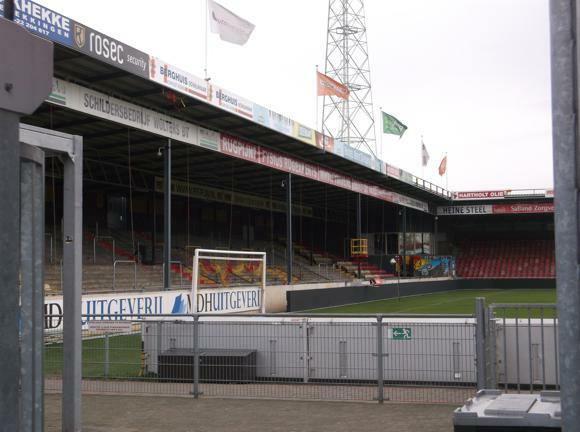 Rarely in the top flight from the late 1980s onwards, the Deventer club closed its academy in 1996. 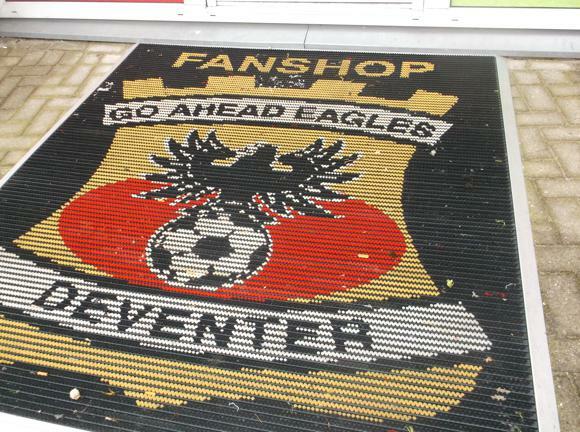 A play-off win in 2013 led to two seasons in the Eredivisie, relegation coinciding with a surprise appearance in the Europa League as national Fair Play winner. Caught on the hop, modernising their venerable De Adelaarshorst ground before the new league season, Go Ahead were forced to move the home tie with Ferencváros to Emmen, a somewhat underwhelming return to Europe for the club after 50 years. A 1-1 draw was followed by a 4-1 defeat in front of an empty stadium in Budapest, the Hungarians serving a UEFA fan ban. The play-off win of 2016 was more dramatic, losing De Graafschap fans attacking triumphant Go Ahead players as they left the pitch. 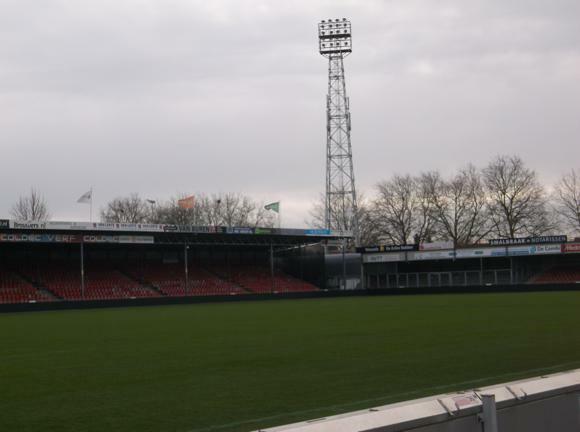 A poor start to the 2016-17 campaign may yet see the Deventer side in more play-off turmoil by the spring. 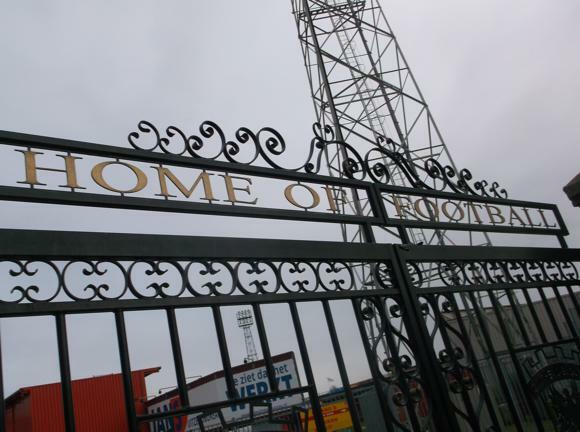 Its gates bearing the motto ‘Home of Football’, De Adelaarshorst (‘De Horst’) was commissioned after Go Ahead’s first national title of 1917, opened in 1920, then improved upon with each of three subsequent wins before the war. A record 25,000 attendance was set with the visit of Celtic in 1965 but it took 50 years before the stadium was fully modernised with the complete revamp of 2015. Current capacity is 10,000. Home fans, the B-Side, gather behind the goal alongside Brinkgreverweg. Opposite, by Vetkampstraat, 400 away fans are accommodated in sector 18 of the Leo Halle tribune, its 2015 design inspired by Fulham’s Craven Cottage. Business seats line the main Hoofdtribune, with the IJsseltribune set facing it. 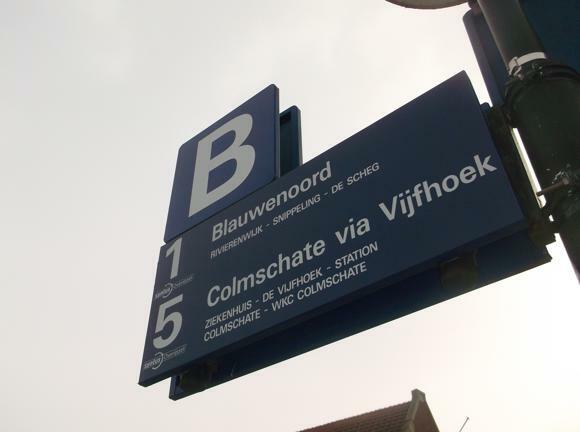 The stadium is beside the Veenweg busstop on the No.5 route (every 15min, every 30min eve & Sun, destination Wkc Colmsch) three stops from Deventer station. To walk it (15-20min), turn left on Stationsplein outside the station, head below the railtracks, then straight up Brinkgreverweg. Many fixtures require a clubcard or season card. These and match tickets for all games can be purchased online. 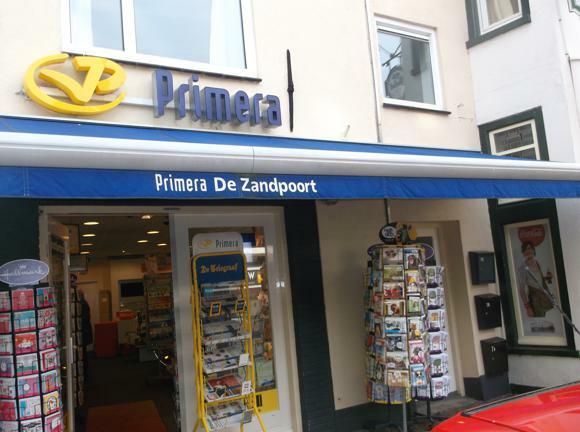 An alternative outlet is the Primera newsagent and lottery outlet in town, at Zandpoort 7. 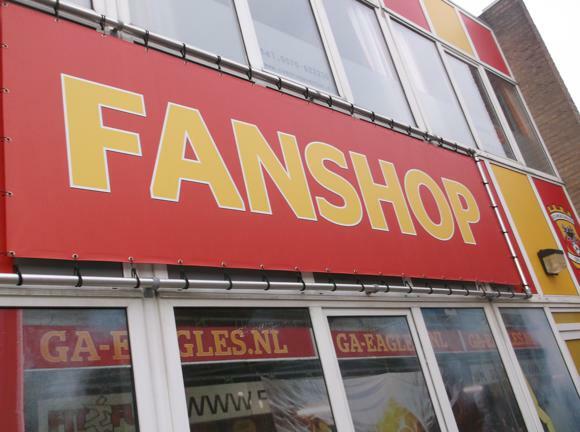 The Fanshop behind the main stand opens on match days. 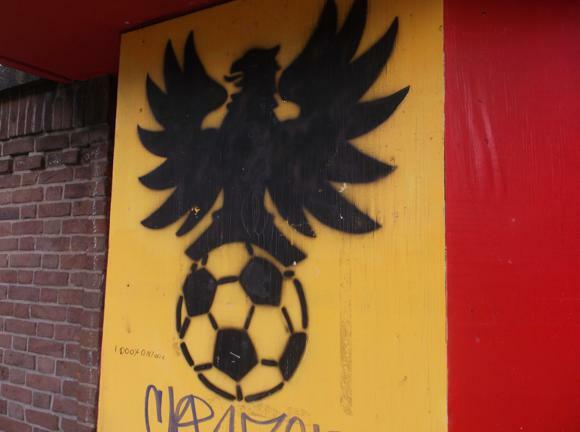 On offer are footballs, flags and beach towels (‘Here Lies An Eagle’), all in signature red, yellow and black. There are no bars or cafés in the immediate vicinity of the stadium. 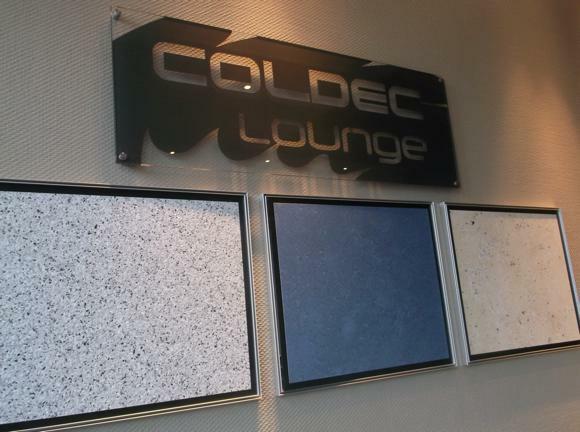 Eagles fans gather in the Spelershome bar behind the main stand from 1hr before kick-off, while business clients are looked after in the Coldec lounge. Everyone else has to make do with kiosks set up around the ground. 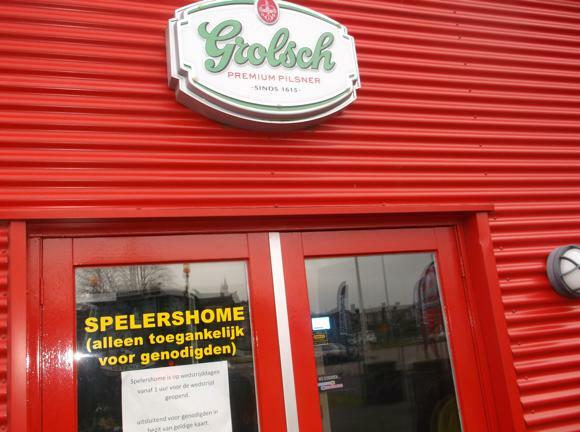 As elsewhere in the Netherlands, the beer sold is low-strength. Purchase is by tokens, also sold around the ground.